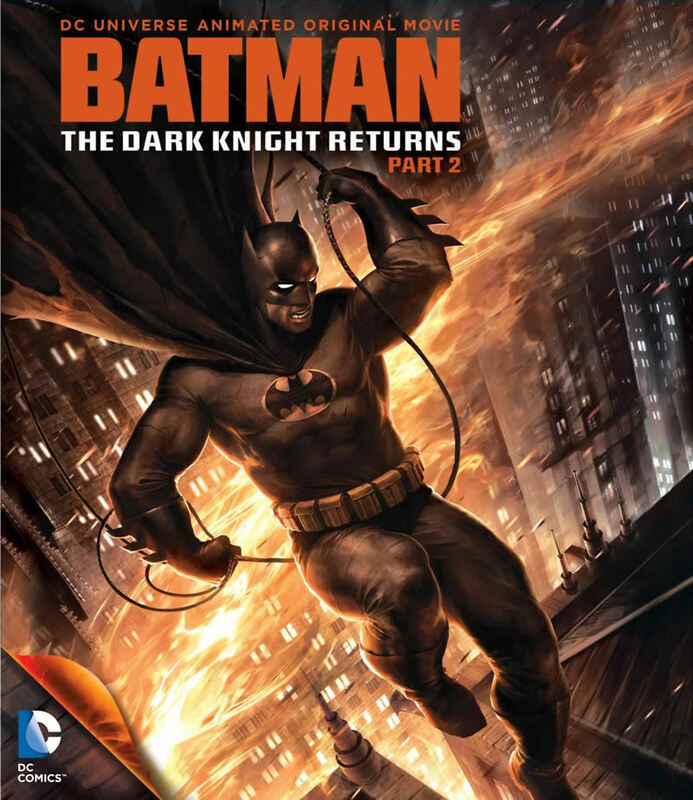 Batman: The Dark Knight Returns, Part 2 DVD and Blu-ray release date was set for January 29, 2013. This animated story begins with a weary and older Bruce Wayne who comes out of retirement to deal with the Joker. The Joker tries to escape while on a talk show, but gets shot and partially blinded. Batman breaks Joker's neck, but the Joker kills himself by continuing to twist his own neck. Superman is called upon by the President to put an end to Batman's vigilante work. Superman warns Batman that there are plans to arrest him. Batman fights Superman, releasing Kryptonite to weaken but not kill him. Batman appears to die of a heart attack, Wayne Manor blows up and Alfred dies. The world learns that Bruce Wayne was actually Batman. Superman notices a faint heartbeat from Wayne's coffin. Wayne has faked his death, preparing to continue his missions discreetly.